I prefer cremation, but also want a memorial and burial. Is this possible? For many years, when a family planned a final farewell for a loved one, details about cremation options were often unclear. Could there be a memorial gathering before or after cremation occurred? What about a burial? Would these services be as meaningful as a traditional funeral and burial? Though families may think choosing cremation limits their options, this is definitely not the case. There can be a memorial and burial with cremation, with the same honor, respect, and significance that accompanies a traditional funeral. Families can celebrate their loved one’s life in many personal ways both before and after cremation occurs – especially with a Cremation with Confidence™ provider. Here’s why: Cremation with Confidence™ is a national network of local cremation providers available to you when the need arises. These providers offer the Cremation with Confidence™ Guarantee ensuring that each person is treated with dignity and respect. 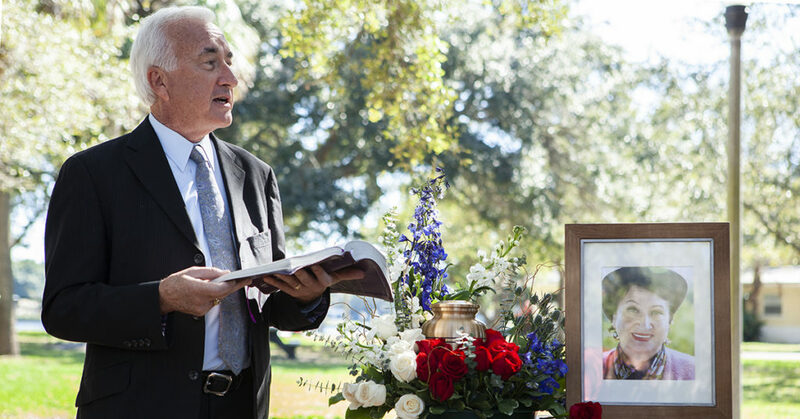 Not only do these providers pledge to abide by a strict ethical code, they are also able to help plan a fitting and unique memorial and burial. Paying tribute to a loved one is an important step in the grieving process, and this is entirely possible when choosing cremation. A service may or may not include the presence of the cremated remains, and can feature elements such as prayers, eulogies, and special music or readings. There are many highly personal ways to help family and friends recall the “good times” in life, while paying tribute to their loved one. Permanent possession of cremated remains in unique and beautiful urns or keepsake lockets. Personalized urns can feature emblems and engravings to reflect religious affiliation, hobbies and special interests, and military or civic service. No matter what type of services a family selects, it is essential to choose a cremation provider offering the Cremation with Confidence™ Guarantee. Too many shocking and devastating headlines make the news every month, leaving disbelieving families in their wake. Who would ever think their cremation provider was untrustworthy, and sometimes even involved in criminal behavior? From lack of attention to intentional corner-cutting, cremation mistakes can have heartbreaking and long-lasting effects. Rest assured, we can connect you with a trusted cremation provider, so you and your family can have the peace of mind you deserve. CLICK to find a Cremation with Confidence™ provider in your area.